WELL MAINTAINED ONE OWNER HOME! THEIR DOWNSIZING IS YOUR GAIN...in this neighborhood of picturesque homes. Distinctive character creating visual excitement & extreme comfort with arches, signature lines & pronounced ceilings. 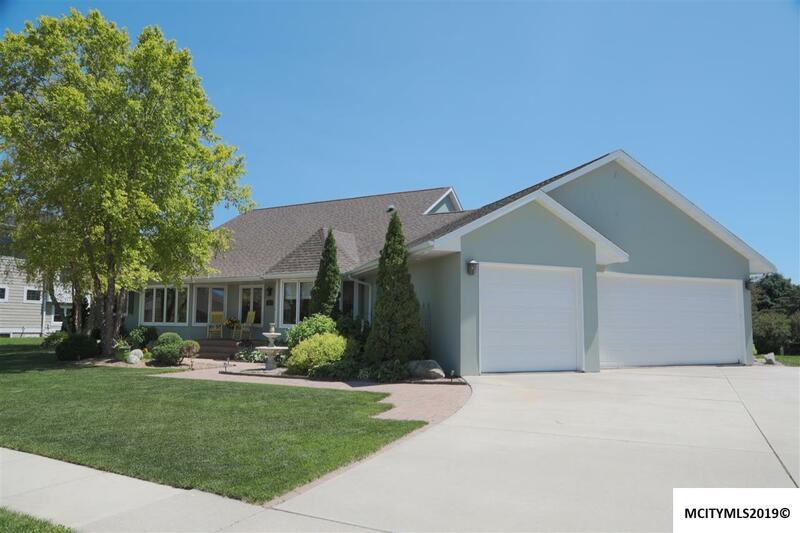 Open floor plan, striking Cherry cabinetry & solid core Birch doors & trim on main & upper levels. Pine ceiling & floor to ceiling stone fireplace in Great Room. Surround sound on all levels. Exquisite gourmet kitchen for cooking and entertaining includes Large center island with prep sink and seating, 64 bottle thermostatically controlled Haler wine cooler for red & white wine, under counter lighting, Central vac kick plate, large pantry closet, abundance of Cherry cabinets including an appliance garage, roll out shelves & spice racks. Owners ensuite w/gaslog fireplace & sitting area. Main floor laundry room with full size frig. Finished lower level w/family room, game room prewired for home theatre, wine room, bdrm & bath, kitchenette w/frig, workshop & storage.